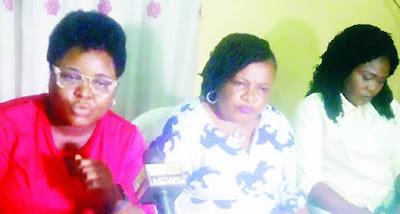 Woman Who Survived Rivers Boat Accident: "I Have Nightmares Every Night"
One of the Bakana boat accident survivors, Cecelia Ndukwe, said she had been having nightmares since she survived the accident in the Degema Local Government Area of Rivers State. The business woman was among three survivors, who spoke. Ndukwe disclosed on Monday in Port Harcourt that she was in shock for a week, adding that she could hardly sleep without dreaming of being inside water after the boat accident in on July 28. She explained that they boarded the only boat that was available after complaining about the non-availability of life jackets for the journey on the sea. “I was in shock for a week and whenever I sleep, I always see myself in the dream inside the water. It has not been easy for me after that incident. “I was the only person that complained about the absence of life jackets in the boat, but the driver still did not provide any. It was the only boat available. We heard a strange sound in the engine as we were moving. “The driver turned the boat without slowing down and the boat capsized. When I sighted a boat coming, I swam towards it. The marine police saw that we were not putting on any life jacket, but they still allowed us to move on,” she added. Ndukwe confirmed that the late Joe Blankson saved people, but noted that she could not ascertain the number of victims that Blankson rescued before he drowned. Also narrating her ordeal, Bunmi Odelusi said that when the accident happened, she found herself directly under the capsized boat with her head hitting the boat each time she tried to raise her head up. She explained that at a point, while someone was trying to rescue her, another person was pulling her back into the water. Odelusim, who pointed out that though the people rescued after the accident were not up to 15, wondered why some people claimed that only Blankson died in the boat accident. “The boat covered all of us. I was sitting at the front of the boat. When I was inside the water, I realised it was an accident. I tried to come out, but my head hit the boat and someone was dragging my leg inside the water. The people I saw after I was rescued were not up to 15,” she said. Another survivor, Idasefiema Ibimina, said she could not swim and noticed that she was going down the water before help came her way. “When the incident happened, a strong wave pulled us out of the boat and I held the edge of the boat. I was so tired and was only shouting, ‘help me’. The local divers told me, ‘madam, you are safe’. “I was the last person that was rescued from the water and as he was pulling me out, I dislocated my hand. We were 25, including the driver of the boat and none of us was wearing a life jacket. I was even going down the water when help came,” Ibimina said. The three survivors of the Bakana boat accident separately explained that contrary to claims in some quarters, more than six persons died in the incident. They spoke during a briefing organised by a Port Harcourt-based human rights activist, Mr Higher King. The three testified that an old man, who assisted the boat driver to collect transport fare from the passengers, was still missing. However, the rights activist said the survivors had formed a foundation known as Boat Safety Minders Foundation, aimed at sensitising people on the need to embrace safety during journeys on the sea. King pointed out that the survivors had promised to provide manifests that would indicate names, phone numbers of travellers and their close relatives. He said, “They (survivors) are also saying that government should build bridges where necessary. A situation where life jackets are not available in commercial boats is unacceptable.